I recently saw some people discussing this film online and realised that it wasn't one that I have seen yet so I decided to rent it for a bargain 99p on iTunes. This is literally one of the most poignant films I have ever had the pleasure of watching. I can't believe that it wasn't on my radar and that I had never heard of it before now. 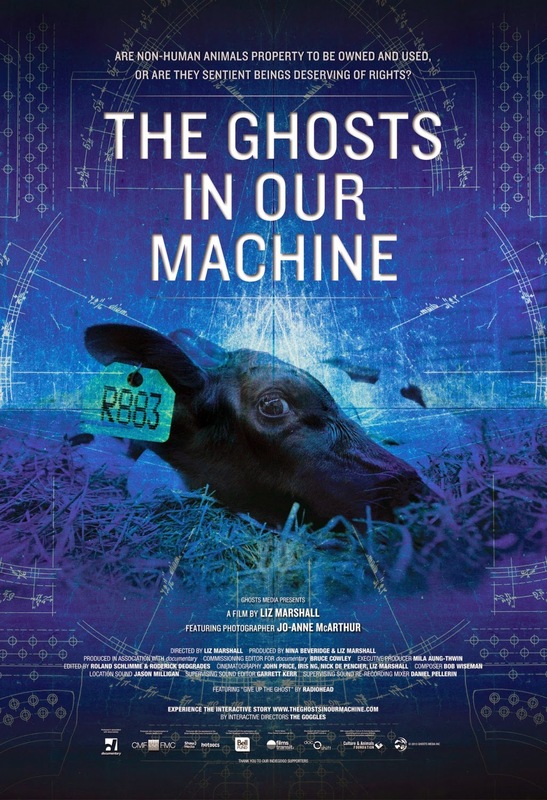 'The Ghosts In Our Machine' examines the lives of animals living within and rescued from the machine that is today's modern world. It follows animal rights photojournalist Jo-Anne McArthur through undercover investigations to heartwarming rescue missions. Each photograph that Jo-Anne takes is a window into the lives of the animals that serve a purpose to various global industries including food, fashion, entertainment and research. This film is beyond moving. It gets you thinking and questioning. It's a must see!